The results of Samsung's in-house investigation into the cause of the problems that led to it recalling 4.3 million Note 7 handsets from sale around the world due to the risk of fire should be made public soon, but not as soon as originally predicted. Making the cause of the problem known is a smart move from Samsung ahead of the launch of new devices like the Galaxy S8. It was originally believed that Samsung would make the big reveal before the end of 2016, per the Korea Herald. But, 2017 has already arrived, and the South Korean daily newspaper JoongAng Ilbo says that the investigation, which began just weeks ago, has now concluded and an announcement will be made in mid-January. The now-familiar story of Samsung's Note 7 battery problems may be widely known, but the cause of so many handsets exploding still hasn't been revealed by Samsung, and it's incredibly rare for a company to entirely withdraw a model from the market due to safety concerns. Making the true cause of the issue public should help reassure investors and consumers that it fully identified and rectified the problem. Until we have official word from Samsung, we can't be sure exactly what happened, but an independent engineering company launched its own investigation and came across a big flaw in the design of the smartphone that could be the cause. It found that the battery was under pressure because it was too large for the space it was given in the phone and didn't have room to swell. If you want to better understand the technical details of how the flaw caused the explosion, check out our article on their results which explains it in layman's terms. Has your faith in the Samsung brand been shaken? Do you care about the cause of the issue? Let us know in the comments below! An over sized battery squeezed into place under a insulating glass back is never a good thing. Is it the cause, probably not. Did it compound the problem by not letting heat dissipate, very likely. Samsung makes great phones but in their quest to lure Apple buyers, and rushing to beat Apple's releases dates. They have made some bad design moves, and decisions. Like not fully testing a phone before release. The Note series not having a removable battery is crazy. The Notes are designed for the business and power user who need removable batteries. Following Apple with planed obsolescence is a betrayal of their long time customer base. Just my opinion. I would like them to offer two models one with a removable battery and one without. That way the consumer can decide if they want a more functional phone, or a pretty phone they have to stick in a case. A more fair comparison would be between the S7 or S7 edge and the note 7. Given that they utilize the same processors. At that point it comes down to the USB-C daughter array being vastly different and the general internal design of the phone. Was there a heatpipe on the note 7 ? Maybe that pipe didn't get along with the snapdragon 820. 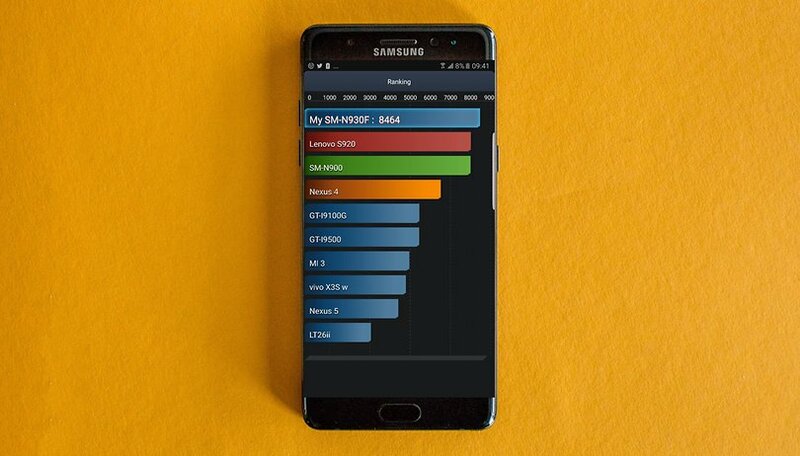 I imagine, that since the Exynos was specificity built for samsung phones, and that may be why it seemed 820 phones were prone to having problems. From talk on the net, saying that it was swelling of the battery, that was a factor, I wonder if the heatpipe contributed. Or was it the iris scanner? Samsung deserve loads of praise,for the batterylife on the Galaxy S7 phones,but just can"t wait to read what did cause the Note 7 battery problems,they used to suppliers of batteries so either one could be to blame or not?or was Fast Charging causing the battery problem?